It looks like a standard AR rifle, but with bigger bullets. I love the AR platform. And yes, it is a platform as it’s a design model that allows of near infinite customization. You can add accessories until your rifle looks like a Pakistani Jingle Truck. More importantly, since the rifle is a platform, you can obtain or build one in a dozen or more different calibers. One of my favorites is 6.8 Remington SPC. Originally developed as a possible replacement for the 5.56mm by some folks from the U.S. Army Marksmanship Unit, United States Special Operations Command and Remington, the 6.8 cartridge is partially compatible with the standard AR platform. Like 300 AAC Blackout, the 6.8 Remington SPC was developed in response to complaints about stopping power of the 5.56 mm cartridge, especially when used with shorter barrel rifles. It splits the difference (more or less) between 5.56 mm and .308 while still allowing larger capacity due to case size and lighter weight. As a rough example, think of a standard size AR magazine holding 25 rounds of 6.8 SPC instead of 30 rounds of 5.56 mm. Not a bad tradeoff for the extra oomph you get from each cartridge. The energy of the “standard” 115 grain projectile traveling at 2,640 feet per second is 1,785 foot-pounds – significantly more than the 1,281 foot-pounds of a 55 grain .223 Remington bullet moving at 3,240 feet per second. While we’re comparing energy levels, let’s look at some other “similar use” cartridges. The 6.8 Remington SPC is based on a .30 Remington cartridge case, but fires, you guessed it, a 7.035 mm projectile. If you don’t recognize 7.035 caliber, that’s just the metric measurement of the popular .270 which is actually .277 inches diameter. See, there’s that goofy tendency to name cartridges something different from their actual diameter again. Just like a .38 Special being .357 caliber. In simple terms, think of it as a .270 Winchester with a smaller cartridge case and less powder capacity that can be fired in an AR type rifle with correct barrel and bolt. The interesting thing about 6.8 Remington SPC is the terminal performance down range. With about 200 feet per second more velocity than that famous AK-47 round, it has reach out and touch someone performance out to about 500 yards. The cartridge case is based on the .30 Remington, which explains the need for a bolt swap when converting a standard AR rifle. Similar to development of 300 Blackout from .223 Remington cases, the 6.8 takes a shortened .30 Remington case and necks it down for the .277 inch bullet. The beauty of this caliber is increased diameter and bullet weight over .223 Remington, while maintaining big time velocity from an AR platform with its overall cartridge length limitations. 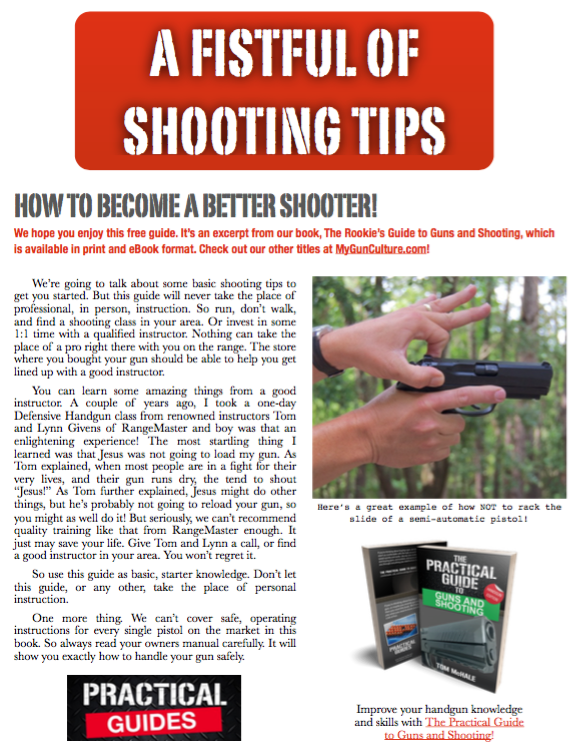 Be sure to check out our latest book, The Rookie’s Guide to Guns and Shooting, Handgun Edition 2nd Edition 2014. It’s ON SALE now for a limited time!